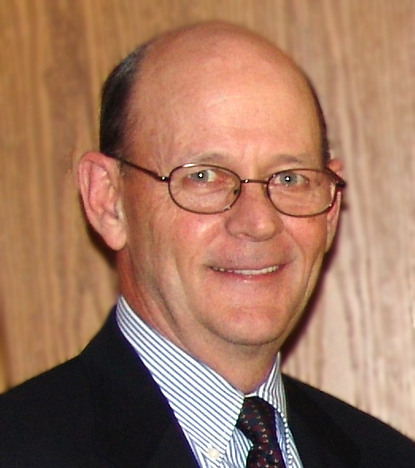 Bill McCall is a meat scientist and food safety expert who has recently retired from his distinguished career within the processed meat industry. Bill has a Master's Degree in Food Science, Microbiology from the University of Illinois and spent over 40 years in the processed meats industry as meat scientist, quality assurance specialist and operations director for prominent meat processors including two companies specializing in the production of Italian Specialty meats. He has also visited many salami production facilities in Italy to learn their technology. In his most recent consulting business, Bill has guided several other Italian Specialty meat companies in safe food manufacturing procedures as well as operations efficiencies. He joins Sopressata.org as a co-enthusiast of traditional Italian salamis in the interest of providing guidance for members and observers for the production of safe and flavorful artesian homemade sopressata and other Italian salamis. For the home-made salami enthusiast, the appearance of mold during drying can be of concern. It doesn't have to be if you understand why it is there, how to evaluate it and what can be done about it. First it's important to understand that most mold species can grow in relatively harsh conditions. Harsh conditions include low temperature, low pH (acid environment), and lower water activity (relative humidity) that will not allow the growth of other competing microorganisms. In my experience, when a selective environment is set up, organisms that are tolerant will proliferate. This is the case for annoying molds. Most molds can grow at a pH as low as 3.5, and at temperatures as low as 35°F. We've all seen jelly develop a coating of mold in the refrigerator given enough time. Try putting a tomato in a baggie and leave in the fridge for a few weeks. Yes, you will see mold on a vegetable that has pH of 3.5. Therefore, acid development in salami will never be the answer to controlling mold in salami. Low temperature, unless you get to freezing, will not work either. This leaves us with water activity (relative humidity) as the controlling factor. If you take away available water, the growth of mold can be controlled. Available water is limited by the concentration of salt in the meat and the environmental relative humidity. Salt level does not turn out to be much of a controlling factor. If you take salami with a 3% salt level and put it in an enclosed container, the surrounding environment will equilibrate to a relative humidity of about 96%. Any mold and most bacteria can grow at this level. So, salt has little if any effect. The answer is to control the relative humidity in drying rooms to 65% or less to prevent any mold growth. The common mold that occurs during drying is Aspergillus. Its limiting water activity for growth is .65, which equates to 65% RH. Distribution of airflow also plays a roll. Equal distribution of properly conditioned air is very important. Commercial drying rooms in the US strive to achieve uniform air flow. Some processors include fans in the dry room to aid in air distribution. Typically, drying rooms are engineered to remove one third of the product weight over time. If the normal drying time is 20 days and the room holds 300,000 pounds of sausage, the room must be capable of removing 100,000 lb of water over that time. That's 5000 lbs of water a day. The point of this is the salami is going to lose water to the surrounding environment and if left to accumulate, the relative humidity will increase and mold will grow. I have seen dry rooms with thousands of pounds of salami mold up in a day when the air conditioning system failed. Proper air conditioning is more important in the early stages of drying. Typically, salamis will lose more moisture early in the drying process when the product is fresh. A drying curve typically looks like this. My personal preference for home-made salami is add a mold solution to the surface following stuffing. This serves three purposes. It will limit the growth of other contaminating molds later in the drying phase; it will greatly enhance the flavor of the salami; and it will protect the surface color of the meat. In order to effectively utilize a controlled mold growth, a fermentation step is generally necessary. When fermenting, a bacterial starter culture is preferred and recommended. Since fermentation requires warmer temperatures, the growth of other possible pathogenic bacteria must be controlled. Limiting fermentation temperatures to less than 80°F will also reduce the risks from other pathogens. A discussion of preferred starter cultures will be reserved for a future article. The preferred mold for controlled mold growth is Penicillium. These are available at sausagemaker.com. With Penicillium however, you must provide the right conditions for growth. Penicillium does not grow at a water activity as low as Aspergillus. It requires a humidity of at least 80% during the fermentation stage. Up to 90% is fine. Spray the mold solution on after stuffing, control the fermentation temperature to 75-80°F, and control the environment to 80-90% RH. When using starter culture, be careful not to add too much sugar or dextrose (including corn syrup) to the meat mixture. Too much sugar will result in a pH drop that may be too fast for the Penicillium to establish significant growth. Penicillium does not grow well under pH 5.0. With good Penicillium mold growth, flavor will be improved. Molds have enzymes that break down protein and fat to create very subtle flavor notes, which I personally prefer. Many Italian processors and in particular, San Francisco Bay Area processors of Italian Salami routinely ferment their salamis with a mold inoculum or a process to promote the growth of mold. Following fermentation, the mold has largely done its work. The enzymes have been developed at the surface of the meat that will continue to do their work during drying. The mold can be removed following fermentation if desired. If it is allowed to remain however, it will help protect the surface of the salami against airborne mold contaminants during drying. Penicillium will remain white during drying, so any green mold that develops will likely be an Aspergillus. Mold will also protect the surface color of the salami. All molds are aerobic meaning that oxygen is an absolute requirement for growth. Since they are aerobic, they produce catalase enzyme which helps reduce surface oxidation, especially if caused by bacteria in the meat that are capable of producing hydrogen peroxide as a byproduct of their metabolism. When the surface of the salami develops a brownish color it is due to oxidation and mold will most certainly retard this. This brown discoloration will have an undesirable rancid flavor. Even a small amount of mold growth during drying can be beneficial for the reasons discussed above as long as it is not excessive. If excessive mold appears during drying, there are options. It is first important to evaluate the mold. Any yellow or black molds are problematic and perhaps the batch should be discarded. White or green mold can typically be washed off the salami. It can be washed off any time during the drying process. As the chart shown earlier depicts, moisture loss is greater during the early part of drying. If mold is washed off in the later drying stages, it will likely not reappear. There is a good USDA paper on mold on food that can be found at http://www.fsis.usda.gov/PDF/Molds_on_Food.pdf. Some people prefer to use a weak vinegar solution, which in my opinion is not necessary. Why add a vinegar flavor to your salami? Now, I would like to give some final thoughts on any benefits of potassium sorbate. Potassium sorbate is a well known mold retardant offered on many of the sausage supply websites. My cautionary message is unless you ferment your salami to a pH below 5.2, don't waste your money or efforts on it. If you do ferment your salami do not apply a surface solution of potassium sorbate until after the fermentation step. Potassium sorbate only dissociates to its active form at lower pH (5.2 or less), so application outside that parameter will be ineffective. If you ferment and have a reduced pH, it will retard mold growth if applied after fermentation. In summary, a minor amount of unwanted mold growth can be dealt with given an understanding of why it occurs and how to deal with it. My preference for Italian salamis such as Sopressata is to ferment them with a starter culture and a controlled mold growth to result in the best salami you ever tasted.